The vegetables and herbs needed to man all year round. But, if you grow cucumbers and tomatoes not everyone is ready, you will have to travel regularly to the country and to care for plants, then grow the greens much easier. For example, dill and parsley do not require much hassle. To sow dill and parsley , you can, without waiting for steady heat, as these plants are frost – proof. Just mix the seeds with sand, scatter them along the furrows, and from above cover with a thin layer of the earth. You can do this by using a rake to cover the ground, passed through a sieve. If your garden is not quite the right place, and the soil there is wet and cold, to plant the fennel and parsley should not along the furrow and on the ridge. Pour comb is best hoe to the ground was loose. Then, as when landing on soft ground, seeds need to be mixed with sand and sprinkle along the crest, then sprinkled with a thin layer of loose soil. You can grow parsley and dill at home. 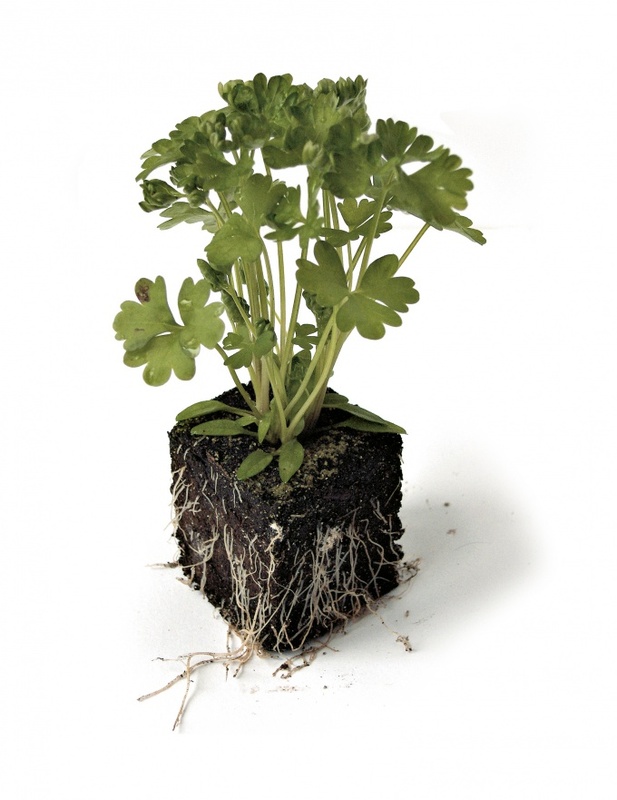 In this regard, a well-parsley – it grows in pots on the window sills. In early spring, when daylight is already quite long, in loose soil, pour the seeds and cover them with a thin layer of earth. Pot is best placed in the South window, at least in the West or East. On the North window of greenery will be hard to germinate. Plants well will feel on the balcony. In winter especially, you want fresh herbs, because the body loses many vitamins! But for dilland parsley and the crucial factor is not temperature, and light. When the days get too short, the plants simply do not germinate – they do not have such length of daylight. However, if you do not have time to plant seeds of greens in the summer, try the following method: in the fall dig in the garden bushes of parsley and put in a pot with soil. The Mature plant is not critical to the sunlight, so in winter you can enjoy fresh herbs. After sowing, it would be good to fertilize the plants with nitrogen, phosphorous and organic fertilizers, especially if the soil in which they grow are poor. Favorite soil of the greens is a clay loam and sandy loam. Parsley - loved by many, and some just don't imagine a complete meal without it. But how to grow parsley yourself at the cottage to enjoy it more often? Parsley! In many cuisines it is an indispensable spice. Soups, soups, main dishes, sandwiches — all of the dishes become tastier with the addition of greenery. Parsley has always been the decoration of the table. And most importantly – it is not difficult to grow at their summer cottage. Parsley seeds can be sown, not pre-soaking. But in this case, the yield will increase for a week later. That's why experienced gardeners-gardeners suggest to pre-treatment of seeds before sowing. They use a small trick: soak the seeds in milk, then for disinfection - in potassium permanganate. After all these procedures of grain need to be dried. Parsley is sufficiently resistant to cold and even frost. Therefore, in mid-April, it is possible to plant parsley in the area. Soil parsley not picky. But you should pay attention to several points. The soil is best prepared in the fall. Good loose soil, richly fertilized with compost or other fertilizers. Feels good parsley in the soil, which for several years was grown potatoes and beets. However, it is to abandon the land which had previously grown carrots, cilantro, dill. For sowing you can select a Sunny location and partial shade. For sowing seeds it is necessary to prepare the ridge in holes 20 cm from each other. The hole should be shallow. Before sowing the holes need to shed with a solution of water and fertilizer. After laying the seed holes poured and lightly tamped. The first "extensions" of parsley seem about a week later. Need to be watered depending on the weather. Soak the beds is not necessary. Conduct watering preferably in the morning or in the evening. Several times over the summer should think about dressing. The first is to spend a few weeks after sowing. This is the perfect ammonium nitrate, superphosphate, potassium chloride diluted in water. In the proportions of 30 g in a bucket of water. Don't forget about weed control. Parsley loves soft ground, so from time to time it is necessary to loosen. This is a fairly important point in the cultivation of parsley, which helps oxygen flow to roots. 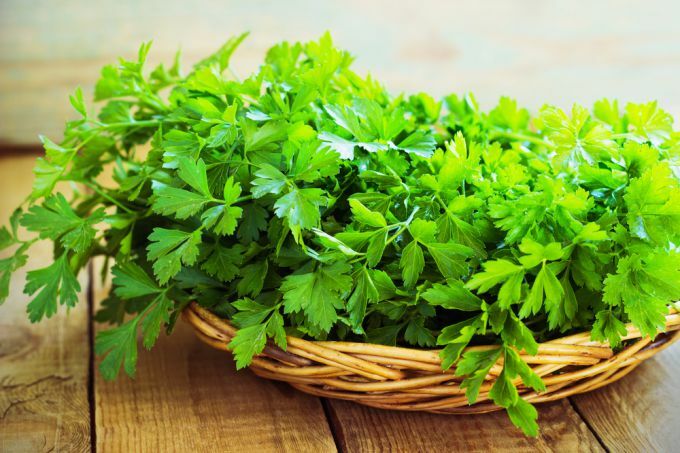 To collect a large number of crops, parsley periodically podstavit. It should be noted that parsley is a biennial plant. Sowing one time, with proper care, gather an abundant harvest of greenery for your summer cottage for the past two years.